Why Bill Gates Fights Diseases Abroad, Not At Home : Shots - Health News The Microsoft founder and philanthropist talks with NPR's David Greene about why he's spent billions on health efforts in developing countries, and about the prospect of beating polio and malaria. By ensuring vaccines are invented and distributed, Bill Gates says, his foundation is dramatically reducing the number of childhood deaths in poor countries. This week in Seattle, Bill and Melinda Gates are attending a meeting of the minds. Five hundred of the world's top innovators in global health have gathered for the Global Health Product Development Forum, an annual event in which scientists, engineers, policymakers and activists work to develop new tools for fighting diseases. Since the Bill & Melinda Gates Foundation began in 2000, the nonprofit has invested a lot of money in education in the U.S. But even more money has gone toward ending diseases in developing countries. Last year, the foundation dedicated $1.8 billion to eradicate polio worldwide. NPR's Morning Edition host David Greene recently spoke with Gates about why he and his wife have chosen to focus their efforts abroad and less here at home — and whether he thinks the world is still on track for eradicating polio by 2018. 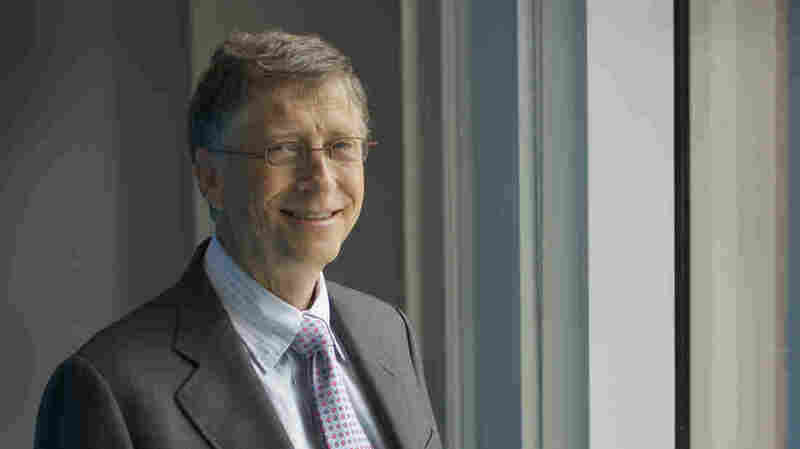 We note that the Gates Foundation supports NPR programming. And the interview has been edited for length and clarity. Why have you chosen to invest billions of dollars on diseases that the U.S. eradicated decades ago? Our view on health is that we have a lot of interventions where we're saving lives for less than $2,000 per life saved. By making sure new vaccines are invented, making sure they get out to all the kids on the planet, we're taking diarrheal deaths, pneumonia deaths and bringing those down pretty dramatically. Any country where we can save a life for a few thousand dollars, we'll do it. It turns out the place you can do that — really make dramatic reductions in the number of children who die — is the really poor countries. One area the foundation focuses on is eradicating malaria. Why did you choose that disease? I was stunned when I found out that malaria, when we got started [in 2000], was killing a million children a year; most of that's in Africa. For Africa to move forward, you've really got to get rid of malaria. Nobel Prizes have been given for work on malaria. Governments and foundations have spent a flood of money on it. But the disease has persisted. Why do you think this is the moment when you can make a difference with malaria? It's fair to say that there have been failures in the past. The year I was born, 1955, the first big disease-eradication program in the world was declared for malaria. After about a decade of work, they realized that at least in the tropical areas, they did not have the tools to get it done. We're going to have to be a lot smarter this time. We're able to model the disease dynamics in a way that wasn't possible before. We actually have a vaccine [now]. It's not a 100-percent-effective vaccine. But that looks like it will be a very helpful tool. Do you think there will ever be moment when you might start thinking that maybe money would be better spent on something outside health or vaccines, such as infrastructure? I don't think that's likely to happen. We want to be realistic. [But] people do care a lot about [malaria]. They see their children dying. They see the effects of cerebral malaria even on kids that survive. So I don't think this is one where we'll run into much resistance, too much apathy. This is a big killer. Development is a series of things. If you could only pick one thing, I think you would pick health because it's so catalytic. But then education, good governance, infrastructure — all of those things are part of the magic things that have allowed countries like China, Brazil, Thailand, Mexico to become middle-income. So now we can focus on the remaining countries, the low-income countries, and have a goal that within 20 years, the number of people living in extreme poverty could get close to zero. The foundation also works on wiping out polio. The goal is to finish the job by 2018. Do you think that's still realistic after recent setbacks? [Polio eradication] is our top priority. And things are looking pretty good in Nigeria. We've had only one case this year, which is way down from last year. We have an outbreak that started in Syria that has spread to some surrounding countries. We think we'll be able to deal with that outbreak. We're still very committed to the eradication; 2018 still seems achievable. But we're going to have to get a bit of political change in Pakistan, and we're going to have to continue to do very good work in Nigeria.